Today, July 16, Roger Federer officially started his 287th week at the top of the ATP rankings. It has been just over two years since the Swiss great has held the top spot in men's tennis, and it is ranking that few thought he could ever capture again. The journey back to the pinnacle started last September after he suffered a heartbreaking semifinal defeat to Novak Djokovic after having two match points. Since that fateful day, Federer has gone 63-6 with 8 titles, culminating with his incredible victory over Andy Murray in the Wimbledon final eight days ago. Less than a month away from his 31st birthday, getting back to World #1 at this period in time, with Novak Djokovic and Rafael Nadal in the prime of their careers, is nothing short of spectacular. I really cannot say enough about Roger's greatness. The past two and a half years have given him so many reasons to lose hope and wind down his career knowing that the younger, faster, and stronger players would surpass him. But that is why Fed is a true champion - he only accepts the very best of himself and does not settle for less. When he publicly made it his goal to get back to #1, nobody thought he could really do it. But he thought he could do it, and in the end, that is all that counts. Roger's self-belief is astonishing. Even as a huge fan and to-the-very-end believer, I had my doubts that he would ever get back to #1. And that he has, one month short of age 31, with such a competitive field playing with him, it really is ridiculous. There are no words that can describe the fortitude of this great Swiss. Now, as we celebrate Federer's 287th week at World #1, it is a very special time for us Fed fans. All the painful defeats and tough times only make this triumph in Roger's career that much sweeter. The fact that Roger got back the #1 ranking by winning Wimbledon (where it all started 9 years ago) seemed like destiny. It is as if all the results in the past two years were setting up for this glorious moment. Unlike his peak years where he seemed unstoppable and disturbingly unbeatable, we have seen a very human side of Roger these past 4 years, as he has had to endure the trials and tribulations of growing older and deal with the rise of his younger rivals. Now, Fed has a family, and we realize that there is so much for him to play for, even at an "old" age in tennis terms. Even though his life has changed dramatically over the past few years, his love for tennis will never die, and it is the greatest asset he has as he moves forward. To put 287 weeks at #1 into perspective: only four players have held the #1 spot for at least 100 consecutive weeks - Jimmy Connors (160), Ivan Lendl (157), Pete Sampras (102), and Roger Federer (237). The difference between Roger's streak and Connors' streak (2nd) is 77 weeks, well over one year more. Roger Federer is my hero, and I am proud to say that. I believe if there was ever a person to model yourself after, it is him. In becoming #1 again, and achieving the goal he desired greatly, he became a clear example of perseverance and patience; of determination, spirit, and attitude. He is a true inspiration to all that support him, and he certainly is one to me. I think I am a better person today because I have observed how Roger handles himself at all times. Of course, there is no talking about Federer's journey back to the #1 position without mentioning his wife ,Mirka, his two daughters, Charlene Riva and Myla Rose, and his team, consisting of coaches Paul Annacone and Severin Luthi, as well as his trainer and physio, Pierre Paganini and Stephane Vivier. Without such great influences around Roger, perhaps none of this would have been possible. Credit must certainly go out to Paganini and Vivier for keeping a near 31 year-old in such amazing physical condition! And to think that Fed had severe back pain halfway through Wimbledon and he was playing (and moving) so well in the final. Those two men must be magicians. As of this moment, Federer has achieved everything there is to achieve in tennis. But you know he won't stop here, after working so hard to get back to the top of the mountain. 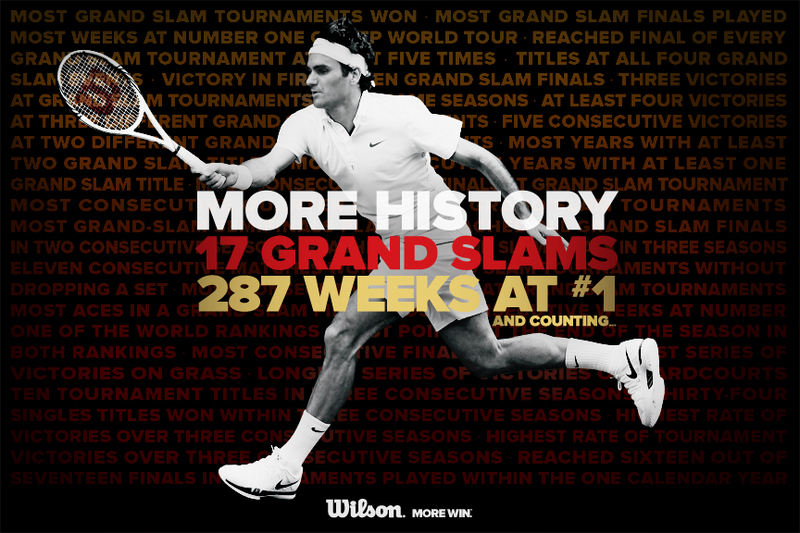 At 287 weeks at #1 and counting, there really is no limit on the success of Roger Federer. He has surpassed expectations throughout his entire career, and it will be a privilege to watch him play for the rest of his days. Congratulations Roger, and thank you. PS: 07-16-12. 7+1+6+1+2 = 17. 287 weeks at #1. 2+8+7 = 17. You just gotta love numbers, right? And yes, isn't numerology amazing!!! Great summary of why Roger keeps making history, and more likely than anyone to keep making history. Your point about him being such a great inspiration is spot on. My 8 YO son has modeled himself on Roger... the way he carries himself, the way he hits his sweet SHBH. When people come over and compliment him about how smooth his strokes are, the kid just beams! More history to come Kyle. Keep more posts on the great man coming.